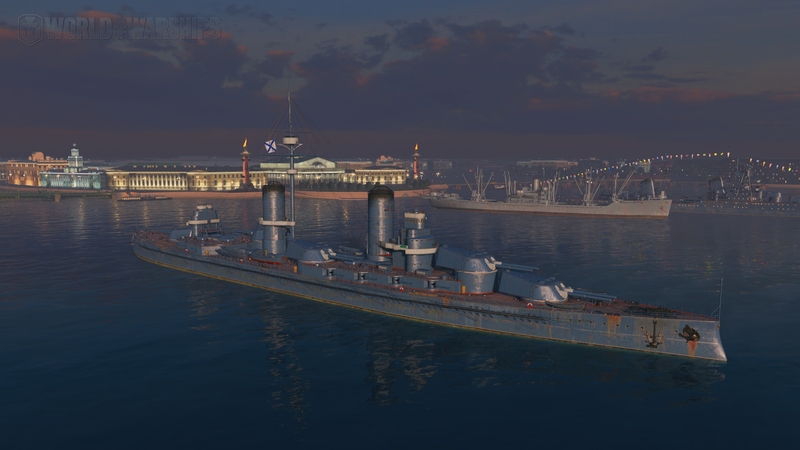 Ladies and Gentlemen, I had the occasion to test the Russian battleships Knyaz Suvorov, Gangut, Vladivostok, Lenin (premium), Sovestky Soyuz and Kreml. For the statistics of the ships, I invite you to take a look at the articles I did in the past covering the different ships. I updated them accordingly to the current state of the ships. As a side note, the dispersion on them was also changed a bit so that it doesn’t reach ridiculous levels below 12 km. You know… people talk about certain ships being very good at seal-clubbing or if you prefer, at terrorizing beginners. Well, this ship brings it to a whole different level. It is right now, way too strong compared to other battleships at this tier. Let’s start with the firepower. The Knyaz can bring a total of 10 guns to bear on a target. 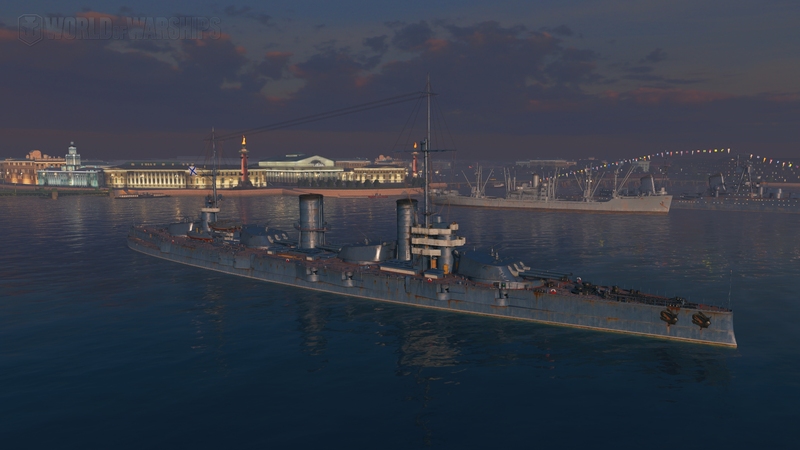 This is 2 more than any tier III battleship except the Konig Albert that is also known as a terribly strong ship. The dispersion on these guns follows the Russian battleship formula which means that the closer, the stronger. This is where problems start since at this tier, most of the action is at close range so the ship can enjoy her special dispersion formula at the fullest. Considering that on top of that, the guns pack a mighty punch, getting high damage games at this tier as never been so easy. As for the armor, it’s amazing but can be a double-edged sword. Outside of the superstructure with 10 mm, the lowest armor thickness you will see on the exterior of the ship is 38 mm. This means 2 things. 1, no ship at this tier outside battleships can penetrate you with HE outside of the superstructure. 2, there is no gun that can overmatch your armor so if you angle properly, you will basically laugh at any AP coming towards you. HOWEVER, as I said, this armor is a double-edged sword. Due to the high armor value on this ship, any AP that penetrates it will most likely cause a full penetration. This means that if you don’t angle correctly, you will take a ton of damage. Also, the broadside of this ship is “fragile” for a battleship. I had the bad idea to show a bit too much broadside against a Myogi and I felt it hard. Myogi, in fact, has no issue at scoring citadels on the Knyaz Suvorov. As for the maneuverability, this ship is not winning any prices with her large turning radius but it’s still good enough for some nice torpedo beats. Just like any tier III battleship, her anti-air is laughably bad so if you shoot down 3 or 4 planes in a battle, you can be proud of you. Now, let’s talk about consumables because I saw lots of people complaining about the limited number of damage control party. I did list it as a bad point but overall, it isn’t. In all the games I played, I never ran out of damage control party once. If you don’t use it for every little fire or flooding that you will receive, you will have more than enough charges for the whole match. Now, if you are not using the damage control party II (which is a bad idea) and are not using superintendent (which might happen at this tier unless you have a 6 points captain already) you might run out of charges. 3 charges is indeed low. Overall, the Knyaz Suvorov is just too strong. The ship has way too many advantages for way too little downsides especially in the hands of a skilled player. If I had to nerf the ship, I would start by at least making the bow and stern partially light-armored so that cruisers can do a bit of damage to the ship outside of fires and also, I would increase the reload a tiny bit because the damage I’ve been racking with her was quite ridiculous. As you can see, when I do the list of the pros and cons of the Gangut, there isn’t much difference with the Knyaz Suvorov. It is simply because Gangut is a bigger and stronger Knyaz Suvorov one tier higher. The firepower of the Gangut is simply amazing at this tier. 12 barrels and may it be the HE or the AP, the ship packs a serious punch. Battleships or cruisers will regret to give the ship broadside and overconfident destroyers will take 2 salvos before exploding unless you get the lead wrong. I had in almost all of my games with the Gangut at least 1 or 2 destroyers rushing me and it was each time a one way trip for them. The combination of the number of guns with the Russian dispersion pattern and battleship grade shells is something that you don’t want to play with. The only real downside of the Gangut in terms of firepower is the turret layout and the limited firing angles that will force you to expose your broadside if you want to shoot with all 4 turrets. The armor is exactly like for the Knyaz Suvorov terrifying but yet a double-edged sword. When you are angled, you laugh, when you give broadside… well… a New York did get a devastating strike on me and it wasn’t a detonation. This ship is for sure not idiot-proof and giving broadside with her against battleships is at your own risks. For the rest, well it’s a low tier battleship so it’s slow an clumsy with a turning radius above the average. The anti-air is again laughably bad so CVs will look at you like they would look at a big pot of Borscht. The concealment is something that I need to note because this ship has stupidly good concealment for a tier IV battleship. You can catch quite a lot of players off-guard with this. Overall, guess what? The ship is too strong. Having amazing guns, amazing armor and amazing concealment, all at the same time, is just too much. What I would propose is an armor nerf for the bow, a concealment nerf so that it’s not the stealthiest tier IV BB by at least 3.5 km and also a reload nerf by 1 or 2 seconds to start. That’s all for these 2 ships, I should release the articles about the 4 others this week. After that, I got the data about the French destroyers and the new premiums so I will have fun with these. On this, ladies and gentlemen, see you later.